Alleluia! To Us a Child Is Born! Behold, the dwelling of God is with humankind. He will dwell with them, and they shall be his people, and God himself will be with them, and be their God. During Advent our congregation read the book of Jonah, that sometimes-ignorant, sometimes-faithful, always-stubborn prophet who called the wayward city of Nineveh to turn away from their past and accept God’s second chance. We’re complex people like Jonah. Sometimes we’re even like the people of Nineveh, we don’t know our left from our right, or up from down. Whether we’ve created our own difficult reality by our actions, or whether others have put us in a tight spot, we all know what it is to live and walk in darkness. So we look for light. We pray earnestly for second chances. We ask for God’s mercy to come even to lowly folks such as ourselves. We yearn to see God’s justice executed on those who actively work against it. We grasp about for light, and we long to behold Jesus. Come, let us adore him! Alleluia! But it’s easy to get confused about Jesus. Not because Jesus is confusing or because God is unknowable. But because we’re an easily confused people. 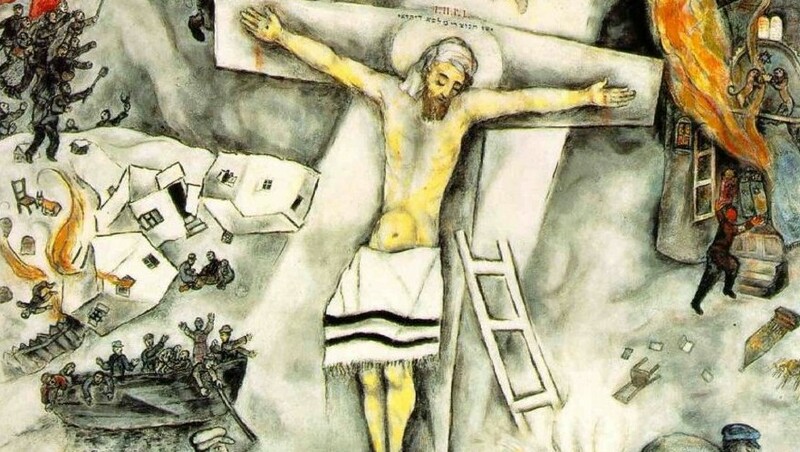 Having seen so many paintings of a crucified Jesus, young Asher Lev asked his mother whether this was the Messiah. A trenchant critique, to be sure. Time and again we look for Jesus to come in glory, in power, to right wrongs on a different timetable than God seems to have in mind… but time and again Jesus insists on coming in humility, in squalor, in seemingly insignificant interactions, even showing up in the midst of a fight. He doesn’t eliminate suffering; he gets born right into it, and takes part it in it himself. Still, some days we’d rather skip past his first coming and go straight to the ending, his second coming when he makes everything right. We keep wanting him to show up in full majesty, draping white robes behind him, as he smites the naysayers and draws his people out of a dark world and unto himself. But year after year he keeps being born in a stable, to an unwed mother, next to unbathed animals, with astrologers as front-pew worshipers. That made a woman cry. Rather than eliminate suffering in his first coming, Jesus participates in it. He takes on vulnerable, imperfect human flesh. He becomes one of the so-called least of these. A child. A poor child. He doesn’t vanquish the darkness all at once… he’s born into it, and lets loose every now and then with a ray of light, a glimmer of hope. Indeed, for those who have eyes to see it, there is great light coming from the most unlikely birthing story you’ve ever heard. Jesus was born into this world as it is, not yet as it should be. This is good news for our confused and dark souls. Even our hearts can become a home in which the Christ-child can dwell. 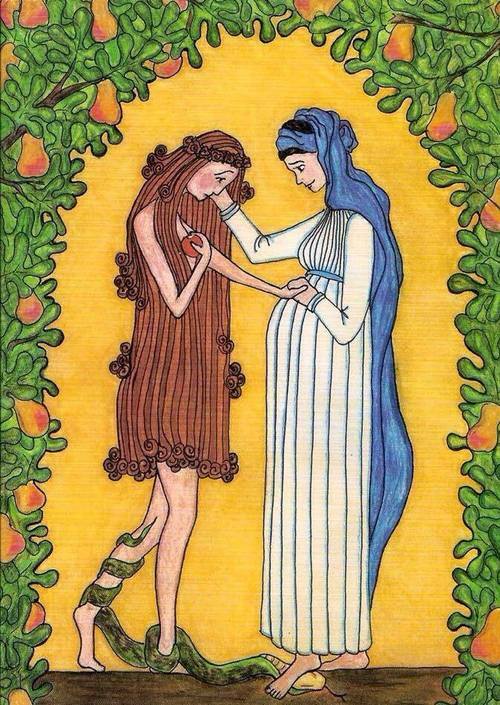 Even we can bear Jesus as Mary did and bring him to all the world. Christ has come, a “little baby thing” to dwell with us, as we are, to be our God, to make us his own. But the Christ Child has a life of His Own, and He will be born even in as dark a stable as that of my own heart. …I suppose I will just have to let Him have His way….And I know He will have His way with you as well. Whatever you’re afraid of in your own life or soul, just remember: He’s been born in darker places. Give Him so much as a square inch of your shadows, and He will fill you with His light.